Each month in the Small Business Achiever - Business Owner Brief, we reveal strategies and tactics that will enable you to multiply your profits and make your business run without you. Unlike articles you will see in business magazines that are just teasers to get you to call the author and pay them thousands of dollars for their wisdom, in the Business Owner Brief, we spell out step-by-step, what you need to do to achieve your goals. Nothing is left out. -Use Offline Promotion to Increase Your Website Traffic and Sales. "The Five Pillars of Guaranteed Business Success" where your personal business questions will be answered. What value do you place on achieving your business goals if you could get a shortcut to success? 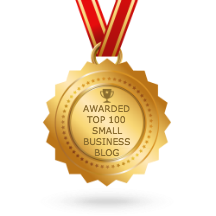 The Small Business Achiever - Business Owner Brief is your Unfair Business Advantage!